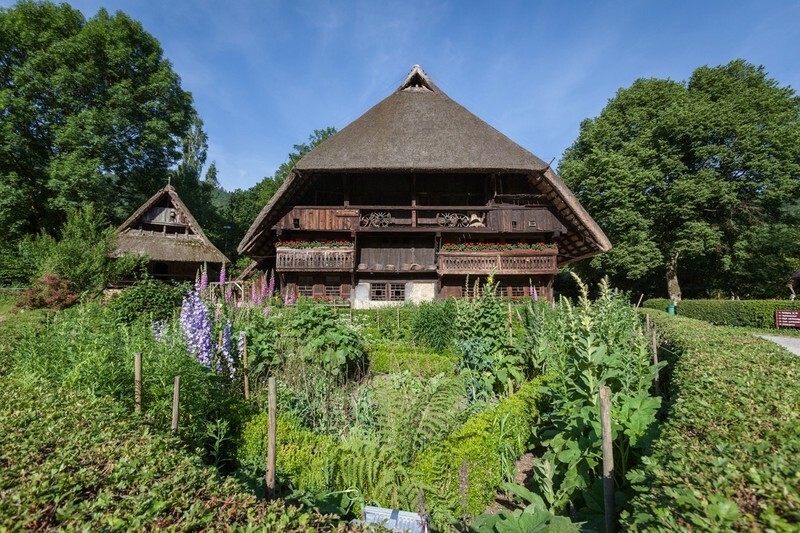 Founded over 50 years ago as a museum of Black Forest architecture, today the Open Air Museum Vogtsbauernhof in Gutach appeals to all our senses to impart how people used to live and work in the Black Forest. 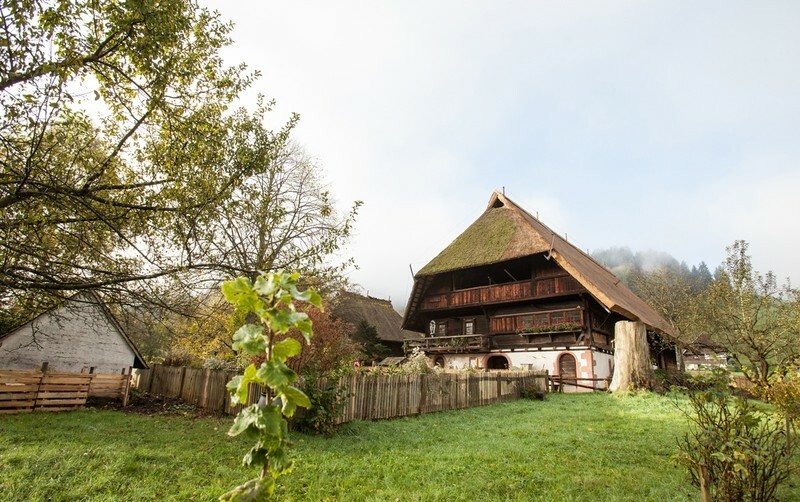 The tour around the museum shows the different regions of this mountain range: from the Hotzenwald and the Dreisam Valley via the Schauinsland to the day labourer’s cottage from Oberprechtal, the “Hippenseppenhof” from Furtwangen and, finally, the mighty farmhouses from the Valleys of Gutach and Kinzig. 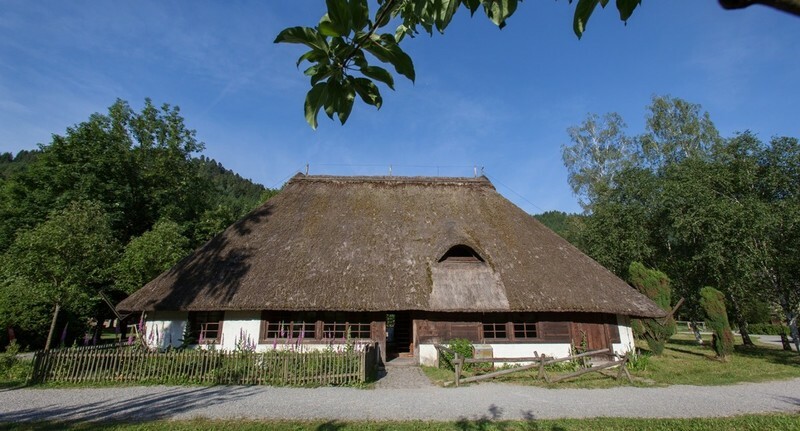 In total, six completely equipped Black Forest farmhouses from the 16th to the 19th century, a day labourer’s cottage, a 600-year-old sandstone building from the northern Black Forest and 15 additional buildings such as mills, sawmills, a chapel, and storehouses can be visited. 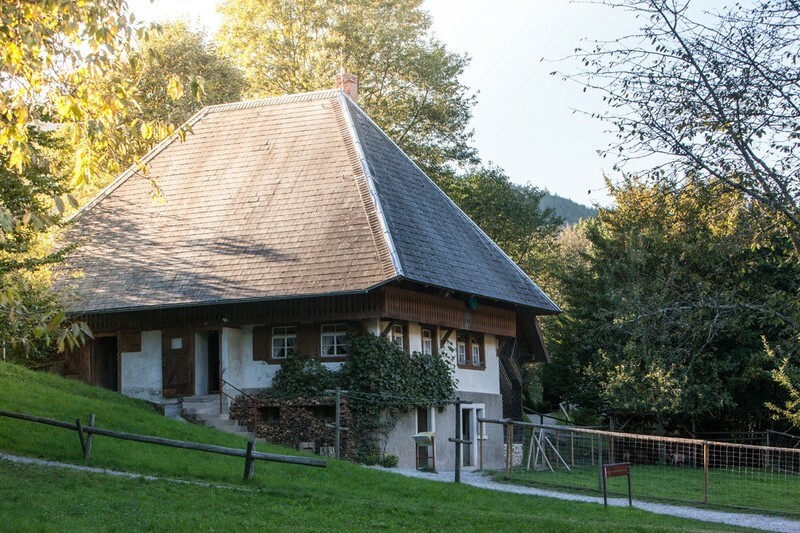 The Vogtsbauernhof is the only farm in the museum still standing in its original location. 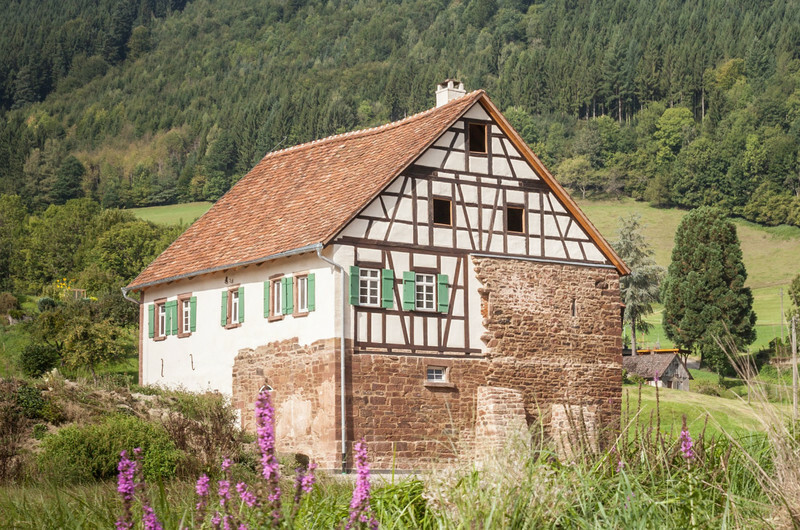 This former country manor is more than 600 years old and the first building representing the northern Black Forest. 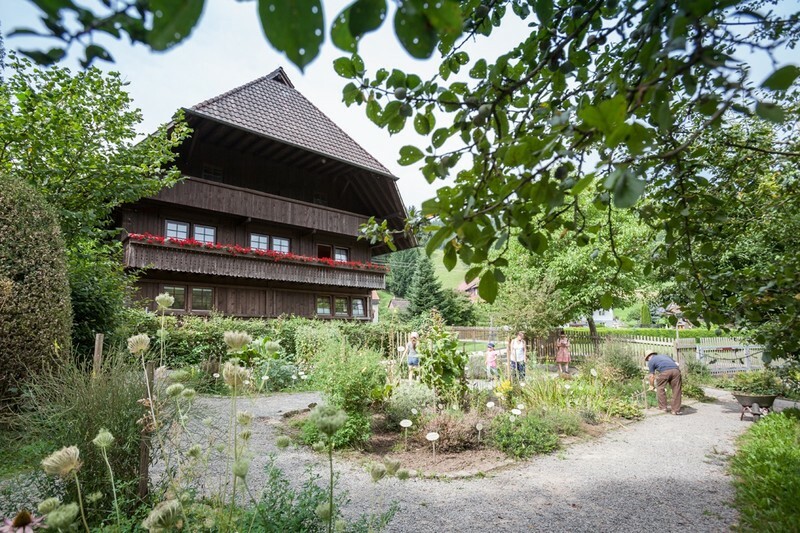 The Falkenhof was built in 1737 in Buchenbach-Wagensteig, and was used as a farm building until 1976. The Hippenseppenhof was built in 1599 in Furtwangen-Katzensteig. It represents the Höhenhaus type of structure. 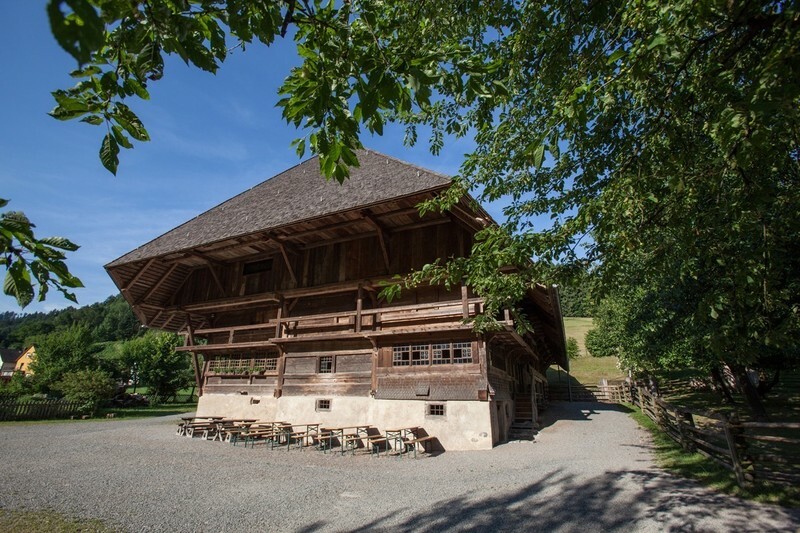 The Lorenzenhof was built in Oberwolfach in 1608 and is a typical Kinzigtal house, with a stone-built basement and a timbered upper floor set upon it. 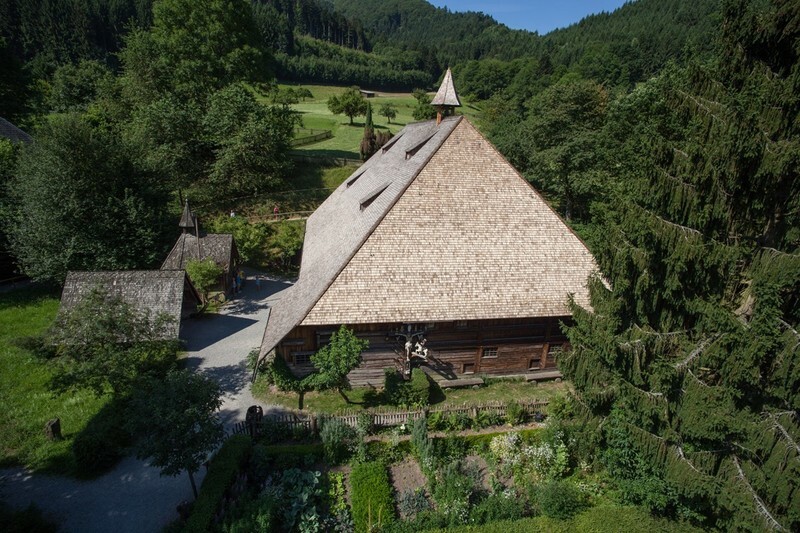 The earlier Hotzenwald people protected themselves from the harsh climate of the area by providing their houses with roofs which pitch right down and with an insulating corridor (the "Schild"). The Schauinslandhaus is the only building in the museum with the entrance on the smaller side. 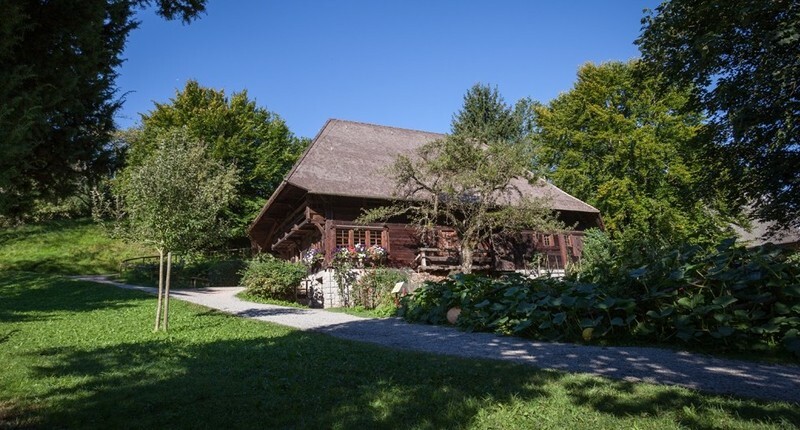 The Hermann-Schilli-House was built in 1980 according to plans drawn up by Professor Hermann Schilli, the initiator und founder of the Black Forest Open Air Museum Vogtsbauernhof.